Within minutes of landing on your blog, people will be eager to learn more about you. To put a face and a personality to the stories and bringing you to life. Blogging, unlike YouTube doesn’t have the luxury of showing all your little quirks and the silly hand gestures you make when you’re passionate about something. So it’s up to us as bloggers to paint that gorgeous, intelligent picture with words. One of the first things I look for on a blog is that blurb. Who are you? What do you look like? What’s your address and postcode? Okay maybe not that far… but still. 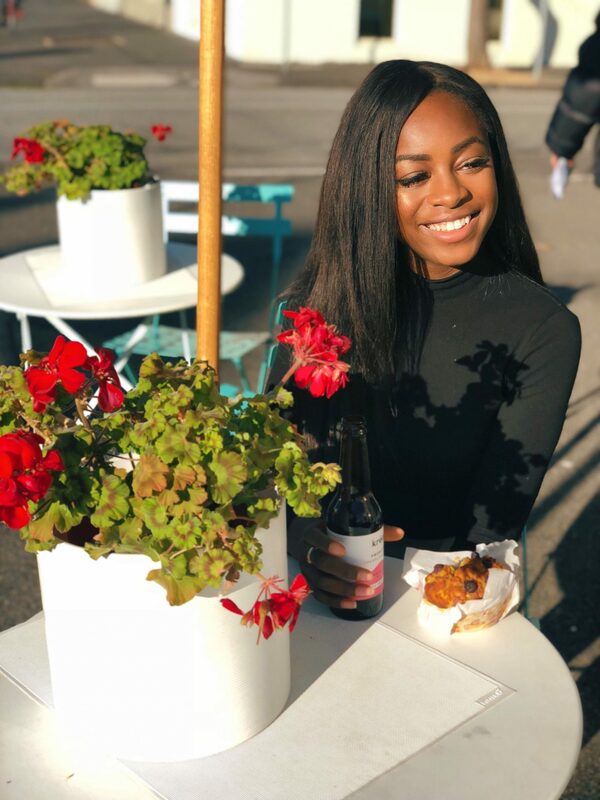 We Brits find it very difficult to talk ourselves up and especially in the vast blogging world (yes the mystical realm that is the Internet) this is no time to start playing small. 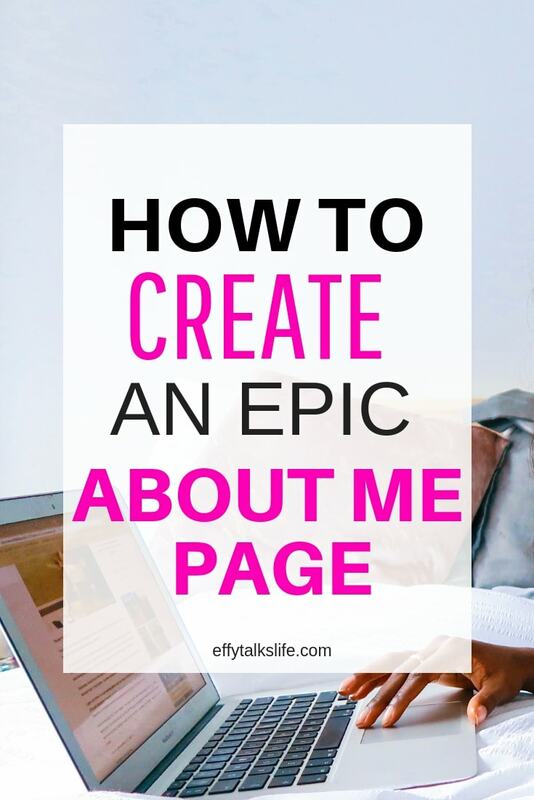 Are you ready to learn how to write an epic about me page for your blog that leaves readers wanting more? As much as people love to hate on them that’s one of the reasons that makes Keeping up with the Kardashians so popular. Scott’s always going to make some sarcastic quip. Kim will be taking 101 Instagram Stories. And Khloe well – she’s just Khloe! We feel like we know them. If you want to write an epic about me page for your blog that keeps readers coming back, joining your groups and buying your products you need to build on these three principles. These three things need to be at the heart of your about me page and just about everything else on your blog. There’s so much backlash on bloggers being ingenuine these days, which is why it’s so important to prove you are someone they can count on. I know some people feel uneasy about divulging personal things about themselves on the Internet but remember you craft your story. You can choose what to share and what to keep private. Just because you paint a picture doesn’t mean you have to share the whole gallery. You get me? Okay, grab a pen and paper or a Word Document (you millennial, you) and just word vomit what comes up for you after reading these prompts. Why should I (your reader) care? Start with the first three and tie it all together with the last one, which in some ways is the most important. Without your readers your blog is essentially a secret diary. I don’t know about you, but my blog mission is not just to inspire myself. I want to empower thousands of women to step in their greatness. Whatever your blog mission is let it be known. Scream it from the rooftops. And by scream I mean write and by rooftops I mean your about page. Awesome, now that’s done on to the next! Hey girl, hey. Great news! It seems like you might be my kinda gal. We’ve got the same aspirations, desires, taste in UberEats… but I still can’t quite picture you in my mind. Here’s where you give me something to look at. I wanna see your beautiful face and I want it to fill my screen. It doesn’t matter if you’re not photogenic just give it your best shot. A good filter and a little lighting tweak never hurt nobody. If you’re editing on your phone I recommend Lightroom (free) and VSCO (paid). On your computer Lightroom (paid). In terms of posing a toothy grin never goes amiss. Try setting up your shot in natural daylight it will mean less effort for you in terms of tweaking things. If you find it challenging to smile under pressure just give a fake laugh it will look natural I promise! Whatever you write, write it like you’re talking to a close friend. Catching up over a glass of wine with one of the girls. Wrap it in all the little isms and quirks that make you you. My good friend, and number one fan, Sarah is always the first to read my blog posts. One of the best compliments she can give me other than “it sounds fantastic you girl genius” (note: she may not have actually said this in real life) is “it’s written exactly how you would say it”. There are so many blogs out there please don’t let yourself get lost. You are more unique and interesting than you realise. If you don’t already know what it is that makes you different ask your friends. How would they describe you to a stranger? Does anything stand out? If you haven’t noticed by now I’m not adverse to an F bomb or a sh*t bomb LOL. I’m sarcastic and I write as a train of thought. My sentences might be a little too long. But above all I’m so, so passionate. It feels like I’m writing this blog to the little sister I never had. I want her to learn from all my mistakes. I want to provide her this glowing Macbook of information and her to strut off into the world with the utmost confidence in herself and everything she does. We’ve cooked up a delicious recipe so far. I know why you’re blogging, I know what you look like, how you talk… now it’s time to add the secret sauce. Are you ready? This might rock your world a little bit. The secret of how to write an epic about me page for your blog is *drumroll*… it’s not actually about you. Now before you freak out and delete everything you just wrote bear with me and let me explain. Here’s why it’s not about you. All those little quirks, the picture, the motivation – yes, they’re yours but all these things help me relate to you. They help me either aspire to be you or see myself in you. You’re telling me (the reader) how and why I’m gonna find value in what you write. If you want to know how to write an epic about me page for your blog just remember that it’s about giving your reader that little something extra. Write how you talk – it’s a conversation, not an essay. If you found this post useful and want even more blogging tips I’d like to invite you to be part of my Facebook community for bloggers! 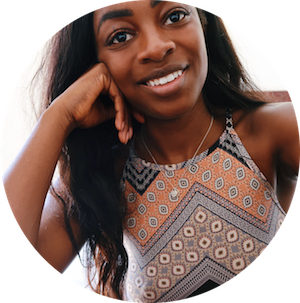 It’s a one stop shop for personal development, social media hacks and all those burning blogging questions you have. 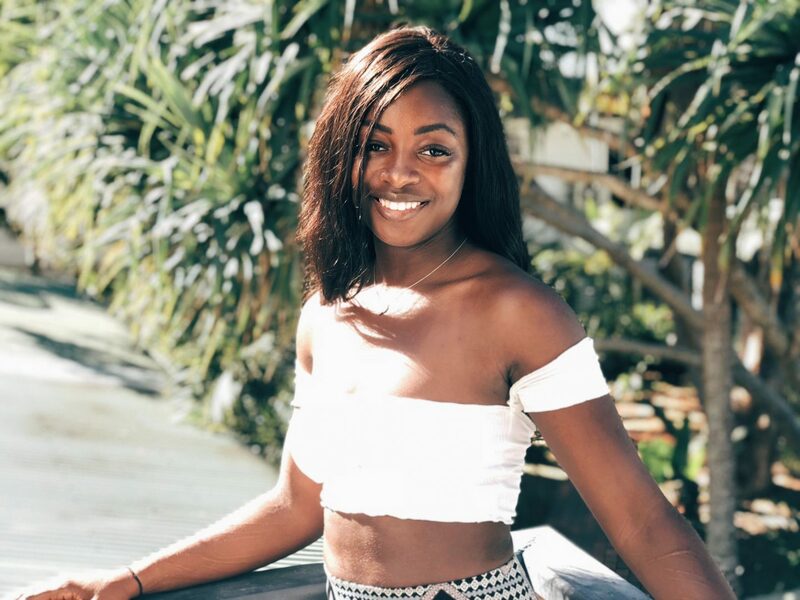 If you’re a high vibe blogger who loves to connect with likeminded people this is the sisterhood for you! What about you guys? Do you have any tips for writing an epic about me page for your blog? What do you like to see on them?